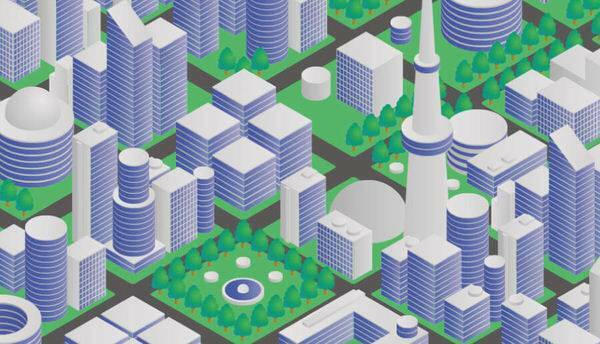 What are the 10 key things that make a city smart? After Mobile World Congress and IoT World earlier this year, there was a lot of buzz about 5G, smart mobility, general IoT, and smart cities. It feels like we’re entering the future, and the excitement is palatable. Unfortunately, there are many soldiers on the battlefield without a plan. See also: Is location intel the key to citizen-centric smart cities? Smart cities need an orchestration framework. The smart cities of tomorrow require more than simply deploying connectivity, sensors, and devices. Incrementalism will not serve cities well. Foresight and planning are necessary to build cities that are truly smart. Here are 10 key elements that are required for truly smart cities and for understanding any smart city initiative in context. It’s tough for a city to be smart without redundant, high-speed, low-latency wireless communications. That’s why 5G has so much attention and is so exciting. For 5G to be maximally effective, the deployment strategy needs to bring 5G closer to the “action” than where a lot of 4G currently resides. To support real-time decisioning for autonomous vehicles, for example, 5G needs to live on the streets. It needs to be directly paired with curbside cameras, sensors, and processing that can, without a nanosecond of delay, support high-speed vehicles in motion. Smart city architectures must also include low-power wireless access (LPWA) that supports power-limited devices. For things like battery-powered devices floating in wells that report water level once a day, an energy-efficient communication protocol is paramount in such scenarios. Smart city solutions demand advanced energy networks that are sustainable, secure, dynamic, and resilient. You can’t grant a city the moniker of “smart” without resilient, advanced energy. Consider this. There isn’t an IT engineer on the planet who would build a data center without a UPS (uninterrupted power supply) and backup power. Why would we plan for anything less with high-value city infrastructure? If communications and intelligence systems are only available when the grid is up, we fail citizens during catastrophes and extraordinary events, when they need services the most. We must integrate security into smart city platforms from the start, not as an afterthought. Insecure solutions are not acceptable. Access protocols and communications require an advanced security architecture that keeps out malicious agents. Overrides and mandatory upgrade paths must also be embedded into the architecture to prevent and mitigate the impacts of cyberattacks. Security is about more than protecting systems and places; it is also about protecting the privacy of citizens that pass near city equipment. Smart solutions must respect citizens. Data capture has long been a major focus of smart city work. Smart cities are instrumenting literally everything possible, continuously adding new data capture capabilities. Weather, wind direction and intensity, road surface temperatures and conditions, air quality, radiation, pollutants, foot traffic, vehicle traffic, wildlife, soil moisture, noise pollution, light levels, pollen, water quality, water levels, vibration, tilt, sewage flow rates, valve pressure, and cameras are some types of data that smart city devices collect. But data alone is not enough to make a city smart. Smart requires a corresponding, tiered architecture for processing that data and acting on the derived conclusions. In the cities of tomorrow, we will be dealing with volumes of data and the need for decision speed, which won’t allow for sending everything back to centralized processing in the cloud. Things will move too fast for proverbial soldiers to wait for central command to tell them when to shoot. Just think about the coming dynamism needed for autonomous vehicles and drones, for example. Municipal systems cannot be deployed as a set of dumb nodes tied to an intelligent core. We must build high-value nodes with local processing resources that operate seamlessly as a tiered participant in a distributed network. Our municipal infrastructure must also coalesce into an incredible, distributed processing fabric: an extended, “living” system, connected and rich with data. To support network-efficient, low latency, real-time decisions required for dynamic traffic management, augmented reality and beyond, smart cities need to deploy computational power at key locations and nodes: curbside data centers. Storage goes hand in hand with compute. To be smart, cities also need to deploy storage at the very edges of our communications infrastructure as part of a tiered storage and caching network. The immense volumes of data we’ll accumulate each minute will require pairing with local storage to avoid needless, crippling network congestion. Consider this. Each autonomous vehicle alone is projected to generate roughly 4 TB of daily data. Beyond vehicles, high-definition video from multiple cameras at thousands of nodes across a city to cloud centers will be impractical and wasteful to ship in as is to central command. Instead, local storage can be paired with local processing to dynamically extract insights and identify data for retention or for relay to cloud resources. Caching is also important for delivery of next generation content. Augmented and virtual reality cannot withstand latency in delivery of assets. Media assets for such immersive content must be available instantaneously to make those capabilities reliably available throughout a city. In short, smart cities must develop architectures that extend storage capacity to the sidewalk. They must evolve to feature highly distributed and dynamic storage arrays embedded throughout the city. Even the brightest minds fail in getting everything in complex systems 100 percent right the first time around. Thus, smart city infrastructure needs to be maintainable and upgradable. We simply can’t require ripping up of concrete and working through lengthy planning processes for every improvement to our city infrastructure. Technology moves too fast. Deployed infrastructure also needs to anticipate maintenance and manage upgrades and future extensions. That will certainly require technical foresight, but new agreements with municipalities and unions will help define operating norms and allowances. With distributed cache and compute comes the natural question of development platforms for third parties. 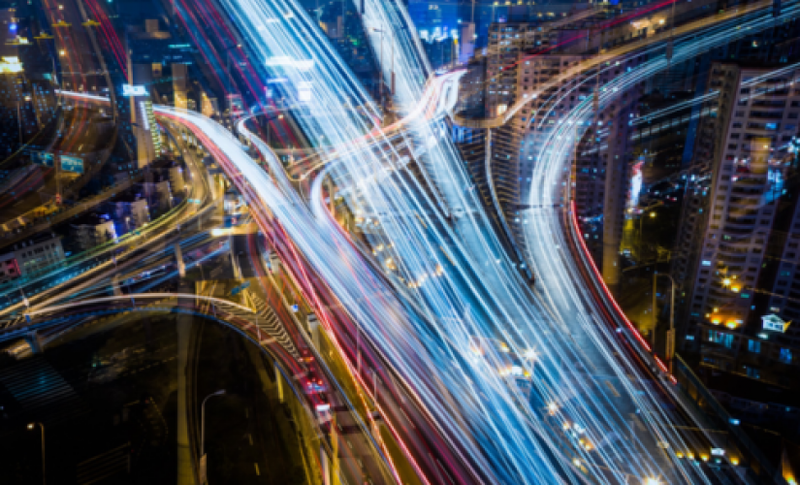 Smart city technology vendors, in partnership with municipal leadership, and with security in mind, must identify ways to thoughtfully expose access to resources, data and APIs to create new intelligence, apps and experiences. No company has a monopoly on innovation. Even Steve Jobs couldn’t have foreseen the diversity of applications that emerged from the iPhone platform. Apple relied on third parties and a broad base of development talent to create apps like Instagram, Lyft, and Airbnb — apps that couldn’t be imagined on launch day for the first iPhone. Of course, we can’t simply create a smart city “app store” that allows developers to self-publish. We must focus our attention on an advanced approval processes to safely and expeditiously determine what gets published to the “production” environment of our streets. With consumer devices, we’re on a trajectory for interfaces from wired (PC) to wireless (smartphone) to ambient (Amazon’s Alexa). Similarly, truly smart cities will turn public spaces into interfaces. Smart cities will define strategies around “ambient” interactions via voice and augmented reality. It’s about a future of smart cities as seamlessly interactive spaces, and it’s worth noting that the idea that “space becomes the interface” has profound implications for architects and urban planners. Historically, municipal and utility infrastructure has tended toward unattractive design — utilitarian, by definition. We can and must do better to make the public infrastructure that supports our daily lives beautiful, inspirational, and engaging. Smartphones didn’t ignite their rocket-ship trajectory in adoption or capability until product design lit the spark of inspiration and imagination. We won’t realize the full potential of smart cities until design changes attitudes, adoption, and acceleration.